Your heavy-duty Mack® diesel engine is made up of an integrated system of parts that work together to achieve peak performance. Mack engine oil is the lifeblood that circulates throughout the engine, cooling it down, keeping components moving and reducing wear and tear on critical parts. Getting an oil change is one of the most inexpensive routine services performed on your truck, but neglecting it can wind up costing you big bucks. Over time, oil absorbs dirt, water, soot and acidic compounds. Contaminants can thicken the oil, restricting flow and reducing fuel economy. Soot build-up in your engine can lead to ring, liner and valve train wear. If these problems aren't detected and fixed during regular scheduled maintenance visits, they can cause your engine to fail prematurely. Mack engine oil is uniquely formulated to fight these contaminants, isolating abrasive particles and absorbing soot to dramatically reduce wear, maintain viscosity control and keep your engine running clean. It handles high engine operating temperatures with ease, resisting thermal and oxidative attacks that can lead to carbon deposits and sludge. Its carefully balanced detergent system can neutralize combustion acids and minimize piston deposits, helping you avoid potentially costly repairs. Mack oil filters are engineered to meet Mack's high quality standards and precise specifications, and preserve your engine's oil by using the finest media available to capture particles six times finer than a human hair. Lower cost filters often use coarser media that only catches larger particles, allowing the smaller contaminants to escape and flow directly into the oil. Lower quality filters can leak or burst, potentially causing major damage to your engine. Mack filters come with superior gaskets to ensure proper sealing and a high-quality steel shell that can withstand oil pressure pulsations up to 218 psi. 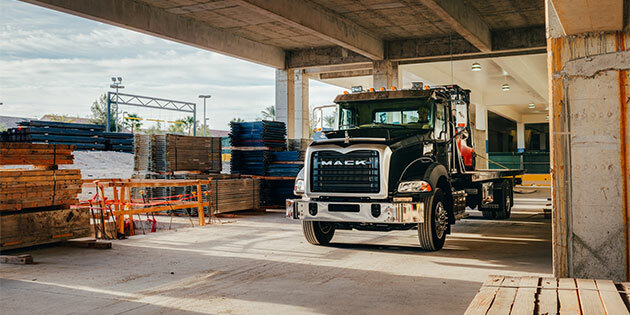 Schedule a comprehensive oil analysis today at your nearest Mack Trucks dealership, and don't forget to have your oil changed and critical components replaced at the proper maintenance intervals. Your oil change interval needs to be customized to your truck's specific application for the best fuel economy and performance. While you're having your truck serviced, be sure to ask about MACK EO-O Premium Plus engine oil, with a quality standard based on API CJ-4 engine oil specifications. And it's available through the SELECT Part Store™, so be sure to sign up today to take advantage of 24/7 online ordering, quick delivery and exclusive discounts.